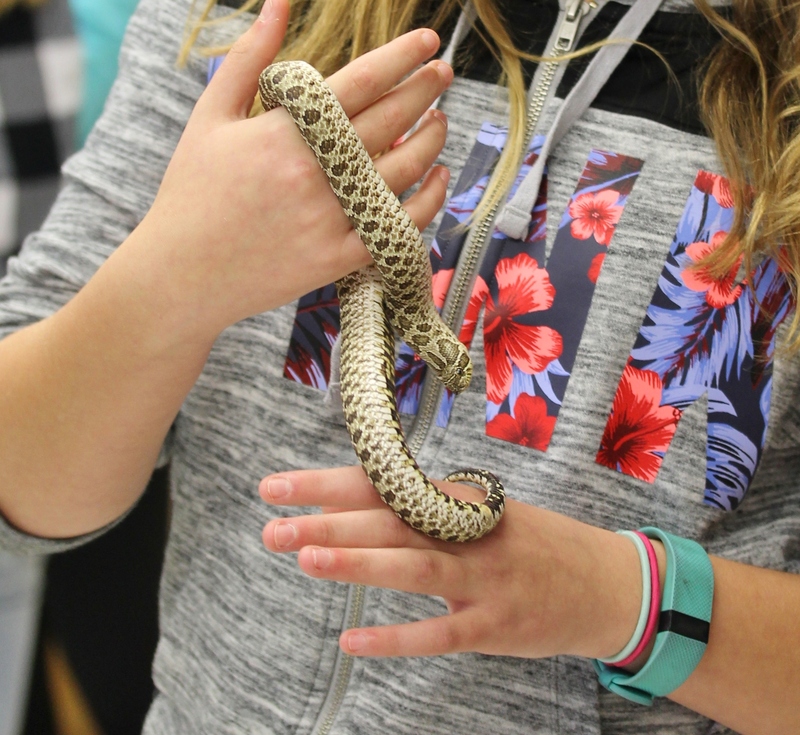 From November 22- December 2nd 2016, Huron Stewardship Council Staff visited 10 schools in and around Huron County to deliver a ‘Reptiles at Risk’ educational outreach presentation. More than 1700 students and teachers heard our presentation and had the opportunity to interact with live snakes and turtles. The presentation focused on the threats reptiles face and how people can help. 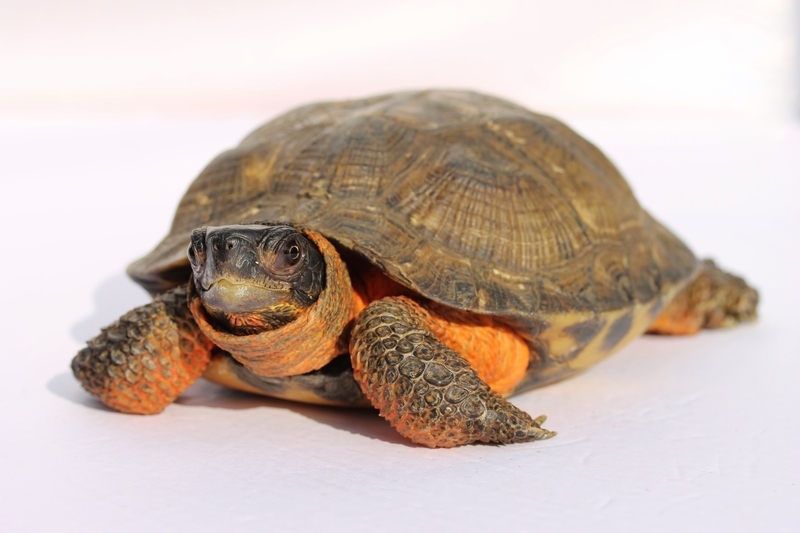 Attendees learned that 7 of our 8 turtle species, 11 of our 17 snake species, and our 1 lizard species are all species at risk. Students and teachers were also shown how to safely help a turtle cross the road (in the direction she was walking), were taught that massasauga rattlesnakes are not native to the Huron County area, and were all able to hold most of the 5 turtles and 7 snakes used for the presentation, most of which were native to Ontario. 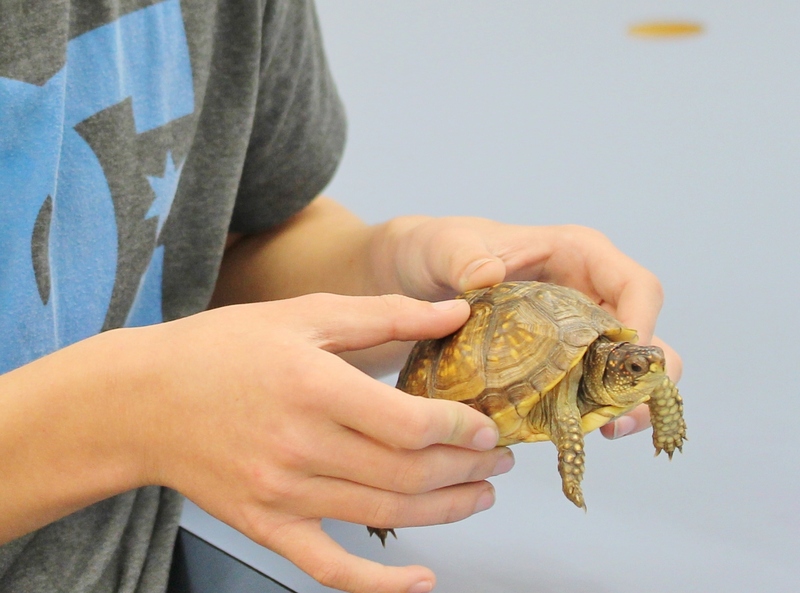 We would like to thank Scales Nature Park for allowing us to use their animals for our program.